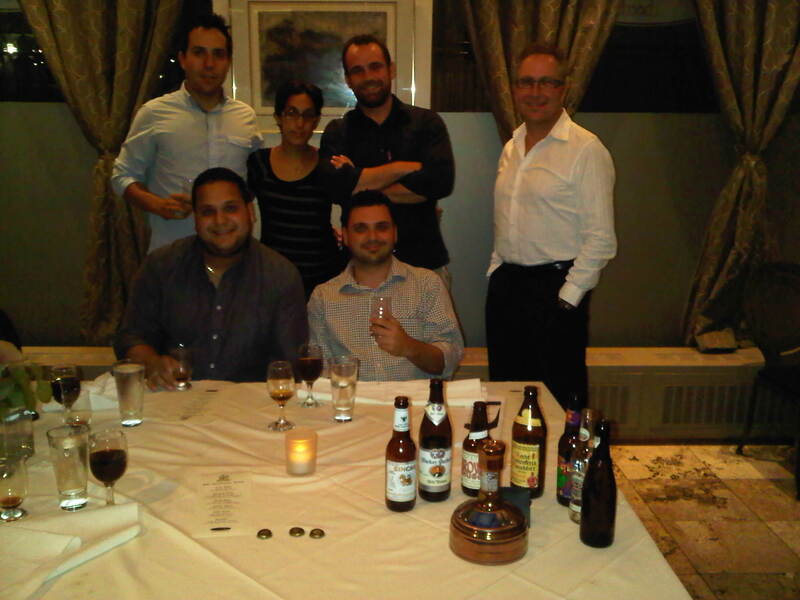 Last night to celebrate the finale of our Prud’homme beer course the six of us had a beer dinner at Beer Bistro. We were in a private room in the back. 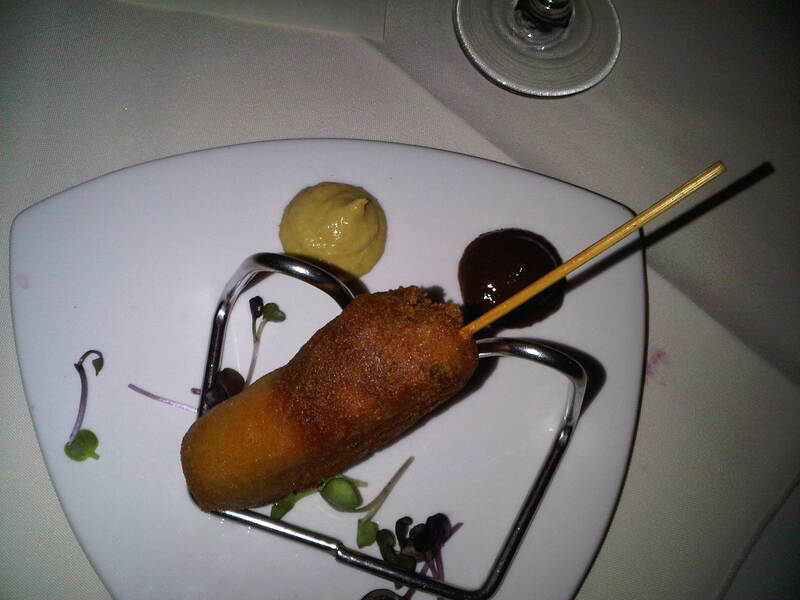 Third Plate: Duck Confit Corn Dog – Cherry beer ketchup and pineapple mustard. Paired with Lagunitas Brown Shugga. Fourth Plate: Cheddar and Emmenthal Soup. Paired with Aecht Schlenkerla Rauchbier *Brian Morin the owner of Beer Bistro brought out some smoky BBQ ribs to go with the Rauchbier and the pairing was perfect! Fifth Plate: Jamaican Goat Curry – Caribbean stout, tropical fruit salsa, coriander yogurt couscous served with Jalapeno sauce. Paired with Victory HopDevil. 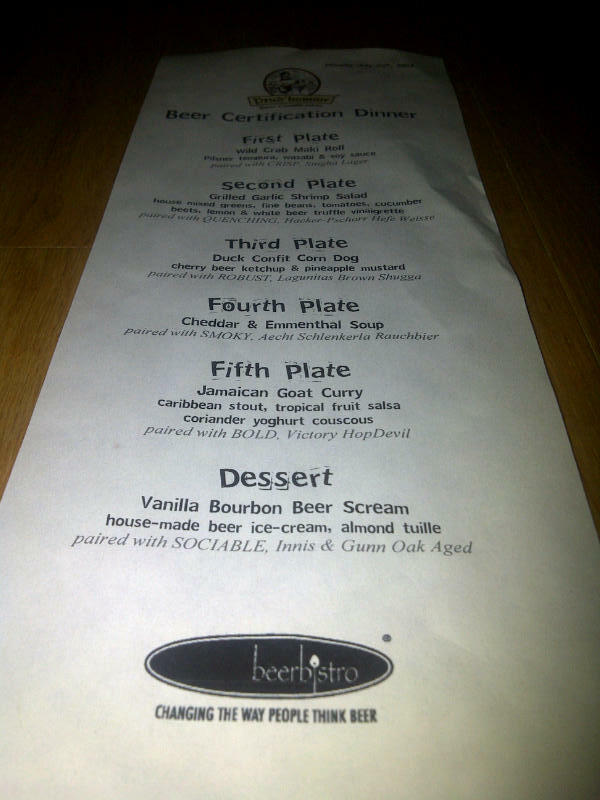 All the pairings were excellent! The best for me was the Jamaican Goat Curry paired with the Victory HopDevil. I loved how the bitterness of the hops brought out the spiciness of the meal. 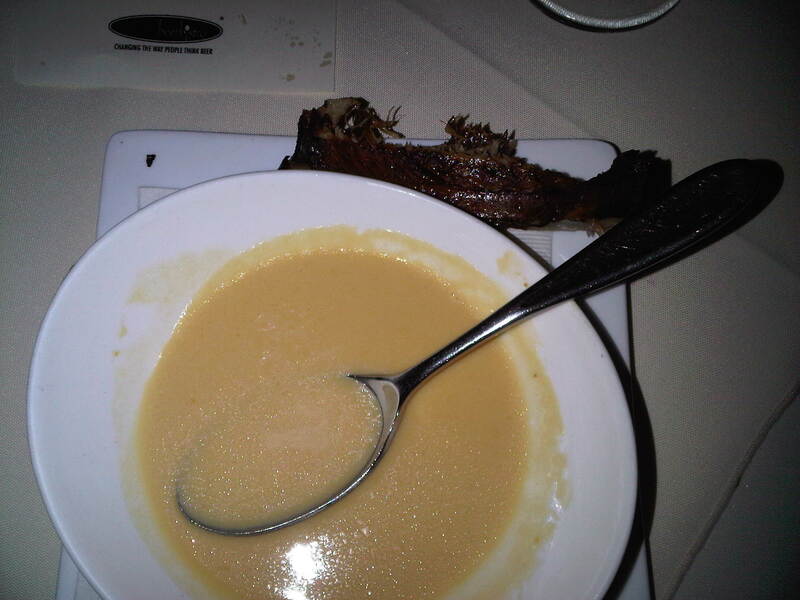 My other favorite was the Cheddar and Emmenthal Soup and BBQ ribs paired with the Rauchbier. I’m not a huge fan of Rauchbier but it’s great beer paired with food. At the end of the evening Brian surprised us with a few bottles of Westvleteren 12! He somehow acquired a few bottles. These beers are the only Trappist beers not available in North America. 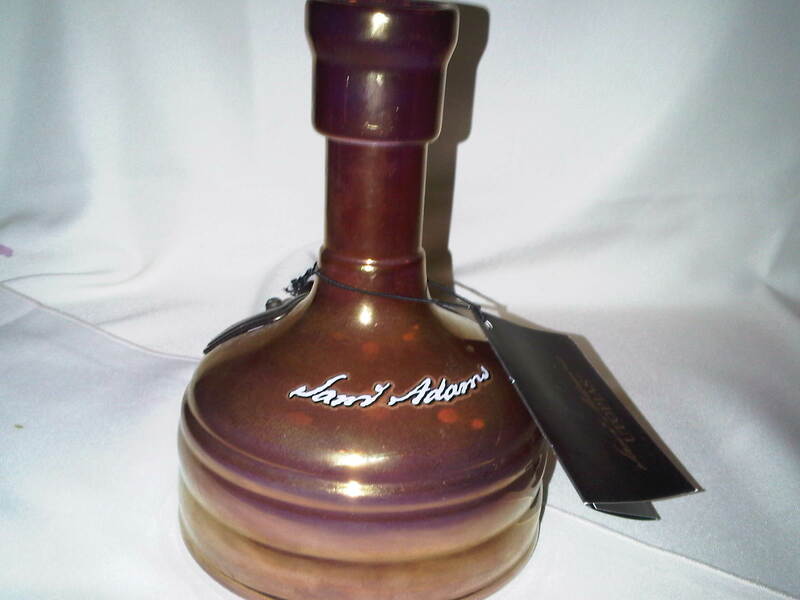 Roger also surprised us with Samuel Adams Utopias !! It was unbelievable. Very smooth and strong (25%). 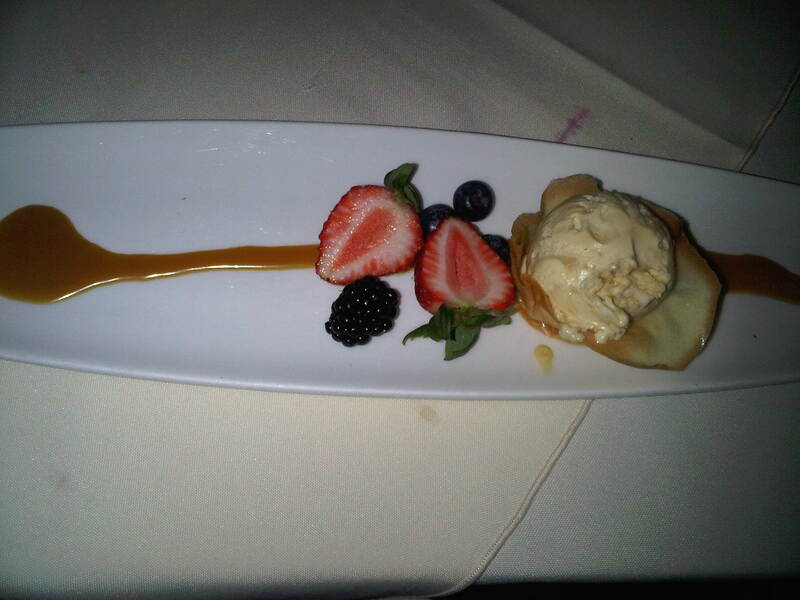 The aromas were mixed with caramel, vanilla and raisins. It had flavors of molasses, vanilla, slightly oaky, raisins and plums. Overall it tasted more like a port than a beer. 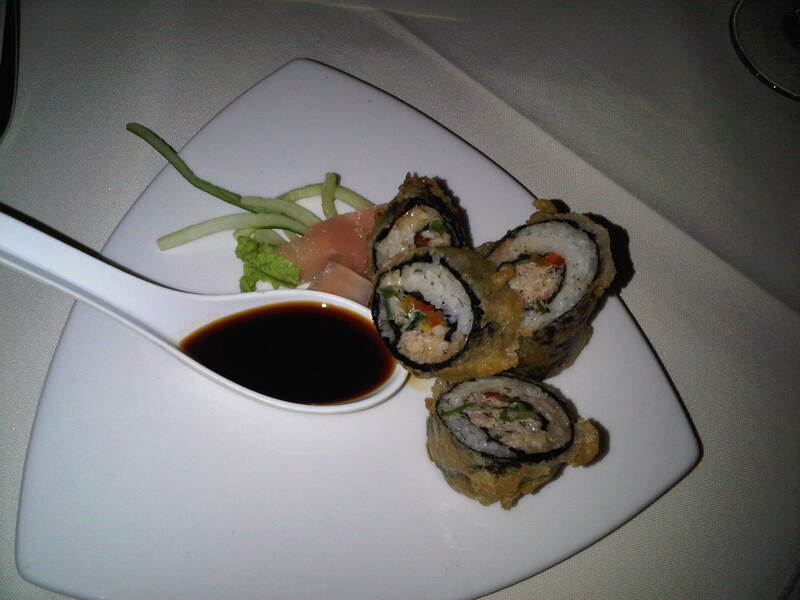 It was great to have the opportunity to try this and a fitting end to a great evening. 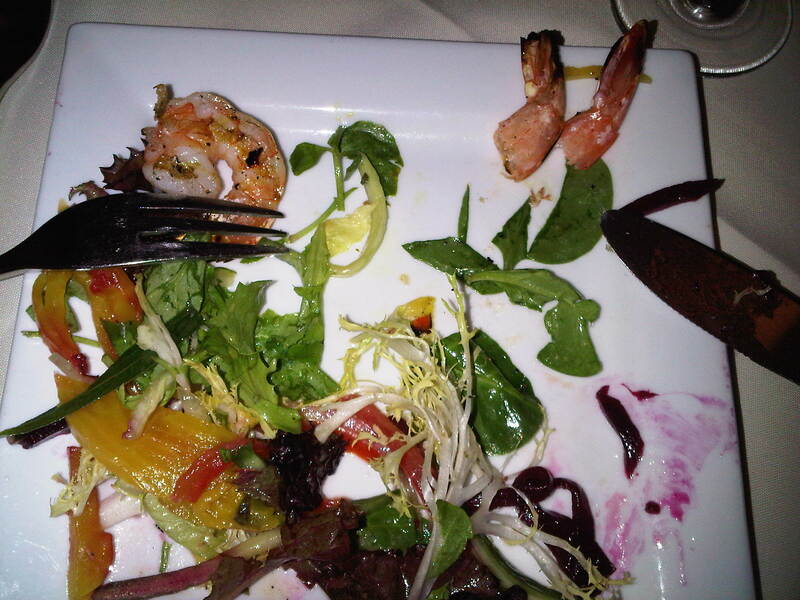 Here is what Roger posted on his blog about the dinner. Thanks to Jeff Rogowsky for the photos.